There is nothing like being inspired by those who show us what hard work, dedication and raw grit is all about. When put to the test, these top athletes rise to new levels and keep us on the edge of our seat. In order to do so, these athletes are doing far more than just pull-ups, power cleans, and rope climbs to prepare for their main event of the year – they’re also testing with InsideTracker. Earning the title of the Fittest Woman on Earth at last year’s CrossFit Games, Katrín puts in the hard work, and it shows! She loves seeing what her blood work shows throughout the season and is able to see improvements through diet and lifestyle changes. We wish her the best of luck as she defends her title! A Games veteran, Cole knows his way around a competition, but he also loves knowing what he should be doing throughout the season to improve his performance, recovery, and overall health. Since knowledge is power, we know he’s empowered to get after it! Another CrossFit Games alum, Michele is one of the most dedicated around. Not only does her training wow us on Instagram but her attention to detail with her diet and exercise make her one of the fittest around. Bon chance Michele! 3 weeks ago I took a blood test with @insidetracker and the results came back with a lot of positives but also some big deficiencies (notably Vitamine D, because you know, Canada). I've made all the changes necessary to perfect my nutrition through the help of @allardfitness, @nutritionfitplus and #insidetracker . I feel better than ever and loving training. Thank you @insidetracker for that priceless piece of information. Becca is a fun athlete to watch both on the competition floor and on her social media accounts. She came to us to see what small changes she could make to her diet and lifestyle that would make big improvements in her performance and recovery. We hope that knowledge fuels her and Team Dynamix to peak performance! Better known as Christy CrossFit, Christy is known for her consistency each year. She continues to excel in CrossFit and with InsideTracker, she has been able to dial in her diet to help her reach new levels of athletic performance. Good luck Ms. CrossFit! Jessa has competed many times at the Games and is currently going to Carson with Team Back Bay from our home base in Boston. Jessa defines tenacity, and we love that she takes a deep dive into her health with blood work. Good luck to Jessa and Team Back Bay! While Ben may not be competing as an athlete we all know he is one of the Coaches to watch at the Games. Ben has coached many athletes to the Games and happens to be the coach of a few of our top athletes. Ben knows that to become the best, you have to be the best, both inside and out. 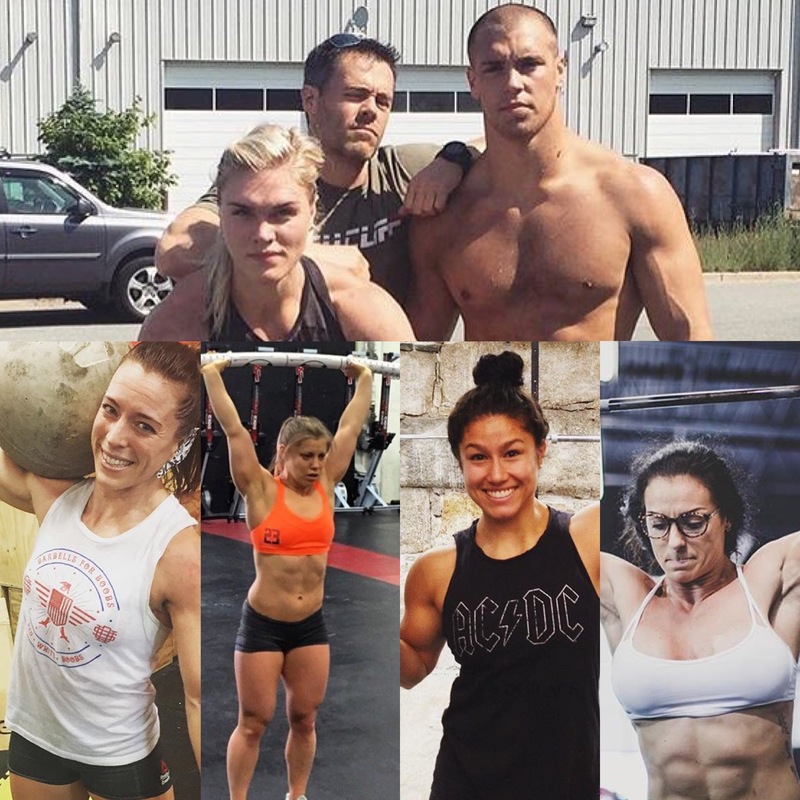 Congratulations to all the athletes who have made it to the CrossFit Games this year. We will be cheering you on, and cannot wait to see you crush your goals and become the fittest version of yourself. And remember, #KnowledgeIsPower. Do you want to see what the InsideTracker team is up to during the Games? If you'll be there too, stop by our tent in Vendor Village. Otherwise, be sure to follow the action on our Instagram, Facebook, and Twitter!